Below we’ve gathered 10 classroom ideas for teaching your students about South America. 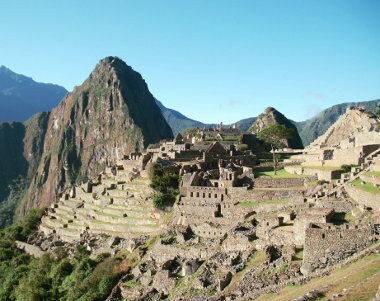 Pick a famous city, landmark, ancient ruin, or natural wonder found in South America. Research it thoroughly and become familiar with all the details you can. Make a power point presentation, a poster board, or a brochure for that site and present it to the class. Pick a new site of interest in South America that you did not already research. Write a fictional journal about a trip to that site. The journal should be from the point of view of a person who would be incredibly interested in visiting that specific site. For example, an ecologist would visit the Amazon and an archaeologist would visit Machu Picchu. Give each student a list of a few basic facts for different South American countries (or have students compile the fact sheets) and have everyone study these facts. Create a jeopardy game using power point and spend an entire class period playing jeopardy. Offer bonus points for the winners to give them some extra motivation. Research traditional foods for different South American countries. Have students work in pairs to copy down a recipe and make a list of ingredients. Have the students shop for the ingredients and prepare the foods to bring to school. Spend one class period trying each meal and having the students talk about the preparation and significance of each dish. Have students fill out a map of South America with country names and important cities. An attached fact sheet should include black and white flags for students to match with the corresponding country and color in. Under each flag, students should write information covering the five themes of geography (location, movement, human/environment interaction, place, and region). Assign each student or group of students a different country in South America. Have them each create a one-page (front and back) handout about their country. Students should include economic information, climate information, important sites, geographic features, significant cities, language and cultural information, and five additional interesting facts about each country. When every student has completed his or her handout to your satisfaction, compile a “South American Countries” book for each student. Have students research a significant person who made an impact in South America. Students will present a three-minute speech on that person. Include biographic information, the person’s contribution to South America, and any additional facts. Have students research the influence of sports, media, and technology on a specific country in South America. Explore changes in the country based on these things and how they affected the overall lifestyle and culture of the people. Explore the Amazon River by writing a magazine article reporting on it. Make comparisons to other rivers in terms of length, width, water volume, outflow, and tributaries. Research and report on where exactly the river is, life in the river, life near the river, travel on the river, how the river changes based on seasons, and any other important things you learn. Top 10 Classroom Activities For Learning About South America was posted in Teaching Resources by Guest Author.